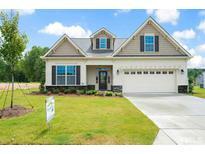 Below you can view all the homes for sale in the Portofino subdivision located in Clayton North Carolina. Listings in Portofino are updated daily from data we receive from the Raleigh multiple listing service. To learn more about any of these homes or to receive custom notifications when a new property is listed for sale in Portofino, give us a call at 919-759-5792. Hidden door entry to Bonus. Gorgeous! MLS#2247348. 4623. Edenton Open Floor Plan Boasts ecoSelect High Performance,Energy Efficient,& Smart Home Technology,Wrapped Front Porch,9ft Ceilings,Oak Tread Stairway,Master w/His & Her Closets, Lux Bath w/Tiled seperate Shower & Garden Tub!Cooks will LOVE the GRAND KITCHEN, w/ISLAND & BREAKFAST AREA open to the Family Room w/Nat Gas Fireplace & Built-ins!seperate Din Room w/Coffered Ceiling,Office(or Bedroom) on 1st Floor,Large Bonus Room,Tons of Storage on Walk Up Unfinished 3rd floor!Screened Porch,Fiber Cement Siding w/Stone accent & .87 Acre Lot!! ! MLS#2246052. 1197. Covered & Screened Porch, 2-car garage, stone accent, huge backyard. MLS#2245494. 1197. Covered & Screened Porch, 2-car garage, stone accent, huge backyard. MLS#2245524. 1197. Located in the beautiful gated Portofino neighborhood. MLS#2244127. 5000. Truly spectacular Covered Patio w/fireplace & 2nd Patio w/views! MLS#2241364. 1647. For more features, pics, video & 3D tour visit www.68Valentino.com/mls MLS#2240435. 4639. Enjoy the BIG views this home allows from the screened porch, large covered porch, or w/o basement! Bsmnt can be finished! MLS#2238625. 1197. Covered & Screened Porch, 2-car garage, stone accent, huge backyard. MLS#2236967. 1197. Modern Farmhouse Pre-sale by Royalty Homes in Keeneland of Portofino, Gated Equestrian Community in Clayton with all the Latest Design Trends MLS#2236296. 1197. *Well Appointed Home featuring Downstairs Master with Wood Beams and Exquisite Master Bath offering Claw Foot Tub*Extensive Moulding and Custom Features Throughout*Floor to Ceiling Stone Fireplace in Living Room*Open Living Areas*Large Center Island in Kitchen*Finished Bonus Room and Unfinished Basement offering approximately 1800 SF of Space for Future Completion* MLS#2236126. 4410. Modern Farmhouse Pre-sale by Watermark Homes in Keeneland of Portofino, Gated Equestrian Community in Clayton with all the Latest Design Trends MLS#2235296. 1197. The many features include Chef's style kitchen w/large island/farmhouse sink/pot filler/undrmnt lighting/soft close drawers/granite/tile bksplash/stainless appliances*1st floor Master w/tray ceiling/hardwoods*Luxurious Master bath w/soaking tub/ marble shower w/dual heads/heated floors-towel rack/plantation shutters*1st floor in-law suite w/private bath*Ovrszd 3 car garage*Room for Pool* MLS#2234699. 990. Walk upstairs to an open bonus area looking down on family room w/ full bath & closet. MLS#2232676. 1197. Community pool, clubhouse, and trails are part of the Portofino Subdivision Homeowners Association Inc MLS#2229493. 4823. $5K Buyer Incentive + $2500 Closing Costs w/Preferred Lender thru 4/30*Farmhouse Style Living in Portofino by Royalty Homes~Gated Community w/Clubhouse, Swim & Miles of Nature Trails*Ranch Plan w/4th Bedroom, Bath, Bonus, Office & Storage Upstairs*Extensive Wide Plank Floors in this Open Plan*Cedar Column in Dining Room*Large Family w/Brick Fireplace & Open Shelves*Brick Wall between Family & Spacious Kitchen w/Eat At Island w/Quartz, Tons of cabinets & Countertops*Master Suite w/Accent Wall & Free Standing Tub MLS#2225654. 1197. Over sized lot & miles of trails, Community pool. Incentive of 10K Closing Cost! MLS#2224890. 1197.